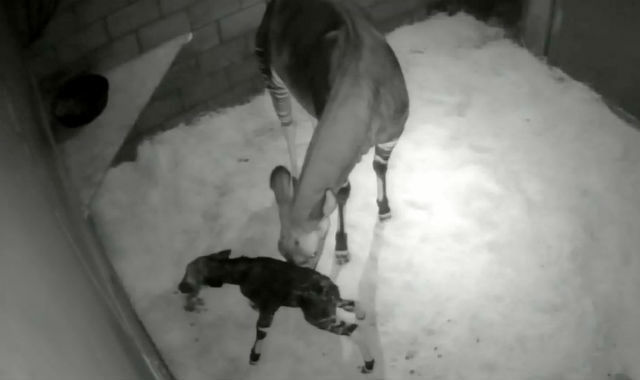 The San Diego Zoo announced Tuesday the second birth of a rare okapi calf in its program to bring the endangered relative of the giraffe back from the brink of extinction. The okapi is a large animal that lives in the Ituri Forest, a dense rain forest in central Africa, located in the northeast region of the Democratic Republic of the Congo. Scientists did not discover the animal’s existence until 1900. Only a few zoos in the United States house this rare species, and the new male calf is the second surviving calf born at the zoo in less than 2 years. Okapis first came to the San Diego Zoo in 1956, and since then, there have been more than 60 births at both the zoo and the San Diego Zoo Safari Park.